When is two not two, two not one, one not two, and one not one? We say we are of two minds. That’s mostly true. We’ve grown up with that construct and it helps us, so to speak, navigate our way through a non-corresponding dualistic civilization such as we inhabit. But like the vertical and horizontal -- what appears to the distant seeing mind as two separate planes and two separate movements, is, to the near seeing mind the place of intersection where one and the other punctuate, pass through, emphasize, and celebrate each other. The fundamental teaching of Buddhism is nothing but the doctrine of One Mind. This Mind is originally perfect and vastly illuminating. It is clear and pure, containing nothing, not even a fine dust. There is neither delusion nor enlightenment, neither birth nor death, neither saints nor sinners. Sentient beings and Buddhas are of the same fundamental nature. There are no two natures to distinguish them. This is why Bodhidharma came from the west to teach the Ch’an method of “direct pointing” to the original true Mind. This “direct pointing” might be seen as the intersection wherein we are centric within the expanding realization flowing in every direction from and through the very point of origin – here, now – the crossing embrace of reality itself. Contemplation unites us with God at a vertical level where we transcend ourselves, the world and all our problems, and experience oneness with God. It is at the same time a mode of action at the horizontal level by which we go out from the center of peace in God to the whole world. The further we go vertically towards God, the further we can go horizontally towards men. Jesus is the man who is totally given to God, to the Father, the one who is totally surrendered to the vertical movement, so that the Son always sees what the Father is doing. At the same time he was totally open to all people and to life as a whole. That is the dual movement, vertical and horizontal, of contemplation in action, action in contemplation. Bede Griffiths was a Benedictine monk equally at home in an English cloister wearing black robes (20 years) as well as in an Indian ashram wearing the colorful garb of a sunyasin, a holy mendicant (38 years). Both expressions surrender to God, the All. It was in India he deepened his life with a penetrating practice of contemplation that could bow respectfully to two cultures, two religions seated alongside him. Bede came to the advaitic experience, (non-duality), seeing things whole. I would like to share with you something of my advaitic experience...I was overwhelmed and deluged with love. The feminine in me opened up and a whole new vision opened. I saw love as the basic principle of the whole universe. I saw God in the earth, in trees, in mountains. It led me to the conviction that there is no absolute good or evil in this world. We have to let go of all concepts which divide the world into good and evil, right and wrong, and begin to see the complimentarity of opposites which Cardinal Nicholas of Cusa called the coincidentia oppositorum, the "coincidence of opposites." Sr. Pascaline Coff, O.S.B. in “MAN, MONK, MYSTIC” tells that "Father Bede Griffiths, Swami Dayananda, died May 13, 1993, barefooted and clothed in the color of the sun, in his thatched hut at Shantivanam in South India." There is so much to look forward to – so much to look at right here and now. So much longing to be looked at and seen. But there is another way to say this, an advaitic way, namely – there is so much looking ‘as’ what is looking. Each place we are -- whether in Maine, Nova Scotia, South England, South India, New York, Delaware, or Texas -- there is always the open invitation we might come to a mind that is not dual or divisive. This mind, this consciousness, will understand and have compassion. It will remain at peace and loving even when everyone (including ourselves) races and reaches after the dispersing attractive nuisances we call things, possessions, accomplishments, and solutions to problems that our racing and reaching have created. We will come to rest for a while. This seems a fine prospect! When we simply do what is there to be done. When we merely engage what is there for us to engage – without counting, without fear, without concepts of compulsion. No doubt we’ll meet each other then. We’ll meet many we thought outside our boundaries. We’ll meet all we’ve not yet even begun to imagine possible. To the question: "When is two not two, two not one, one not two, and one not one?" No doubt we’ll say: "What a coincidence!" The small cape fills with melodic passion of lone musician. "Le grand malheur, de ne pouvoir être seul": the great sickness, said La Bruyère, is the inability to be alone. Solitude was once counted a virtue. These days, recluses are regarded with suspicion. "Loner" is a word reserved for paedophiles and serial killers. Only a special few are allowed to retreat from society: those, like monks and nuns, wearing the proper uniform. The rest of us are expected to surround ourselves with company; only then can we keep the infinite spaces at bay. Even the solitary stroll, traditionally a cure for most things (solvitur ambulando: it is solved by walking), has been abolished, thanks to the personal stereo and mobile phone. Yet hermits have been around since the first cave. In every culture they can be found heading into the wilderness and living off roots and berries. The novelist Isabel Colegate, author of The Shooting Party, offers a short, idiosyncratic history of the human quest for solitude. She takes her title from Thomas Traherne: "A man that Studies Happiness must sit alone like a Sparrow upon the House Top, and like a Pelican in the Wilderness." Robert and Su-Sane stop by a while. We speak of the evolving meaning of ‘hermit.’ The hermit is one able to be alone. To be alone as they are, even with another. To be alone with what one is. To be alone wherever one is. A hermit is alone with himself or herself. No need to impress, explain, or digress. Each act, thought, prayer, or practice is done for itself. The hermit knows, i.e. sees, that each act carries its own integrity. The hermit’s practice is to allow the fact and sound of that integrity to carry itself. of a self awakened sage. Six bufflehead land on water out back window. Sun line climbs white wall of Wayfarer across harbor. It shines from 4th window of house behind red building. Converted white lobster boat “Z-2” sits at ease at its float as 3 mergansers pass by its bow. Saskia arrives back. Jim sits by fire. Thursday evening. Time for Putting on the Mind of Christ. She was aluna [mind, consciousness]. Perhaps our great unease is the unwillingness to stay inside the action, not separate ourselves from the very fact of what we are revealing as causal accomplice to the creation and destruction of the world. Alone. A loon. 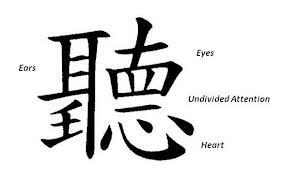 Aluna -- mind, consciousness itself. The Christ and The Bodhisattva: A Symposium! This might be the origin, focus, ground, and continuing grace of Meetingbrook. This late winter of 2002 we wander off camping and traveling to Maritime Canada to visit a river and a place that calls for a listen and a look. In the autumn of 1984 Saskia and I happened onto a public radio announcement as we traveled back from Ottawa through Vermont. 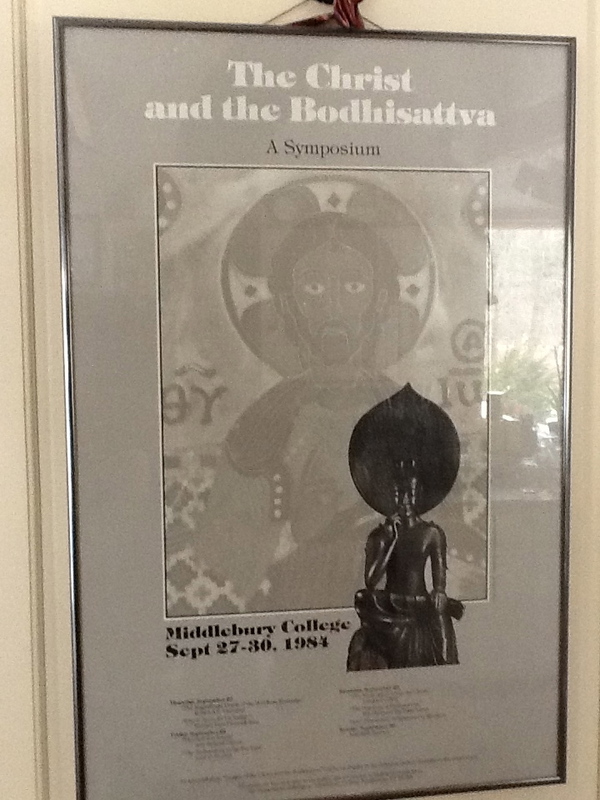 The announcement said that a conference at Middlebury College beginning that very day would feature a talk by the Dalai Lama and would have as its theme The Christ and the Bodhisattva: A Symposium. Christian and Buddhist scholars would think together about these two down to earth and extraordinary designations of persons. We pitched our tent and attended. Sitting on wooden deck at night on river island in Nova Scotia between two flowing expressions of Quinan River eating bread with Brynza cheese, drinking seltzer water with lemon flavor -- we settle into the still moving silence of our lives. Sando is flat out, her nose at edge of deck, waiting treats of biscuits. Symposium – a lovely word! (From Gk. sym=together with; & pinein=to drink). This symposium of persons and beings, of longing and surrendering, this sipping together of water flowing on either side or between us – this is what Meetingbrook has been since its inchoate intuition in 1984. A symposium, a free interchange of ideas -- a generous revelation of what each person sees or experiences -- this is our center ground and rising spirit, and what Meetingbrook is attempting since its incarnate experience at Ragged Mountain in Camden in 1991 and marketplace appearance in 1996. This mediation between expressions of the sacred-natural is where we find ourselves after long hours of road and water crossing. This meditation of the twoness of one, the oneness of two -- and not holding fast the two or the one, but letting what flows by flow by with our attention and affection, -- this is where we find ourselves after many years clinging and reaching after what appeared to be secure traditional belief or refuge. as this full moon upon the water. The stars were out in Quinan for our meal. The moon was off in conversation with rain clouds negotiating timetables and puddle depths for next day. Bubbles of light flowed past wooden platform over river where a single candle burned. Even there, hundreds of road and sea miles away from our inchoate and incarnate origins, we find ourselves in the middle of our practice, in the middle of the symbols and logo of the practice -- two separated flows of living water meeting again at the place watched over by strong, grounded, and rising tree. . Formed by nature, accompanied by seeing, sacred expressions of the longing to be what is true. The phrase Zen Contemplative Ecology might mean this – Each itself, looking caringly and carefully, in true relationship with the whole. Driving out the 4.5 kilometers of dirt road from the 900-acre property we’d camped on, we saw the puddles and deliberation results from prior night’s symposium of moon and clouds. Slowly, carefully maneuvering around places we might get stuck, we make our way out and free. Gale winds tore at flags and made the crossing, Digby to St. John, notable with pitch and yaw. We were, wouldn’t you know, the last ones to their car, the last ones off the ferry in New Brunswick – all others having departed by and around our seemingly abandoned vehicle as we stood middle-deck noticing this and that, waiting to be called, obviously having missed the one given. This designation – late and last – seemed appropriate to the theme we so carefully acknowledge. The Christ – the loving one here and now we will all meet together at end. 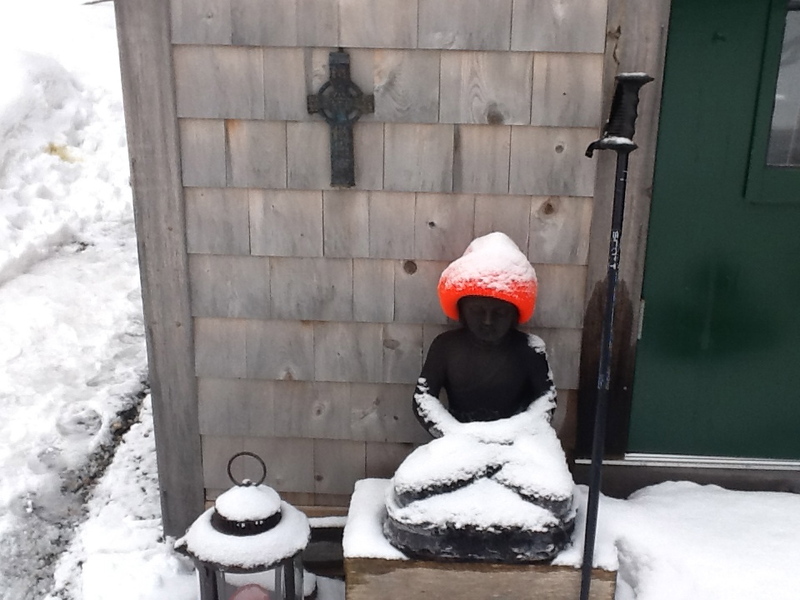 The Bodhisattva – the compassionate one here and now that will not go beyond until all travel beyond together.